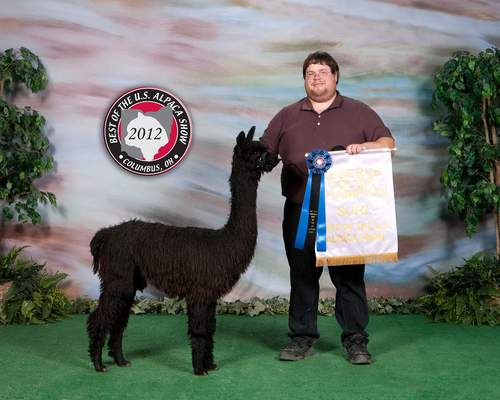 Platinum Marquis has proven himself nationally in the show ring. 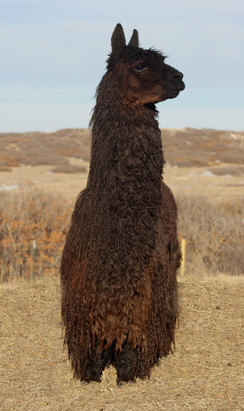 Shown, as a juvenile, at the three largest North American alpaca shows (AOBA,AAA Futurity and MAPACA) in 2004, Platinum Marquis won Champion and Reserve Grey Color Champion in these three shows.His luster and his lock are so remarkable that many breeders ask if he is an accoyo. He is a full Peruvian with accoyo blood from his dam's (Silverbelle) side (Bruxo, Uribe and Helios). 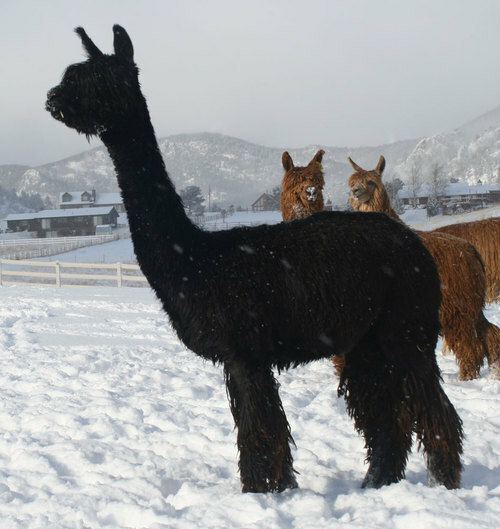 Silverbelle was the Reserve Grey Color Champion at both AOBA and AAA Futurity in 2002 as well as the highest selling suri alpaca at the 2002 AOBA National Auction. Platinum Marquis' sire, Silver Marquis,is a deep gunmetal silver grey, a product of two silver grey parents, Silver King and Silver Gem. 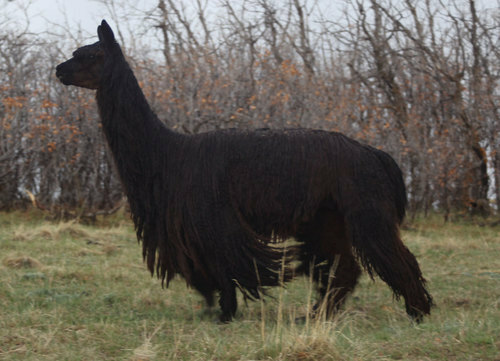 Platinum Marquis, a third generation silver grey suri,sired his first crop of crias born in 2006.All of them were colored suris with excellent lock and luster and out of 14 born, 10 were grey. 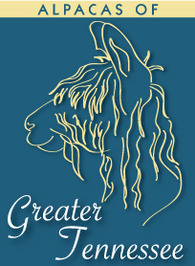 Since then, Platinum Marquis has produced many more champion winning cria.Some of his well known champion cria are, GLR Marakesh , GLR Orion, GLR Kiva , GLR Picassa , GLR Chasca, GLR Silvario and Silvano of PVA. Ramona is a beautiful Beige female with very distinctive fawn spots on her face/neck/blanket. Her sire is Yodi - one of the best Grey Silver Bullet offspring! She is a proven producer and is the dam of Havana Marquis (True Black male sired by Platinum Marquis) and Margot (Dk. Fawn appy female sired by Seattle Mist). Update: Havana Marquis' first cria's were born. A beautiful solid true black suri female and a beautiful light rose grey suri female. Just what we like, Females with grey and black color. UPDATE: Havana Marquis sired a beautiful dark Silver Grey Suri male.